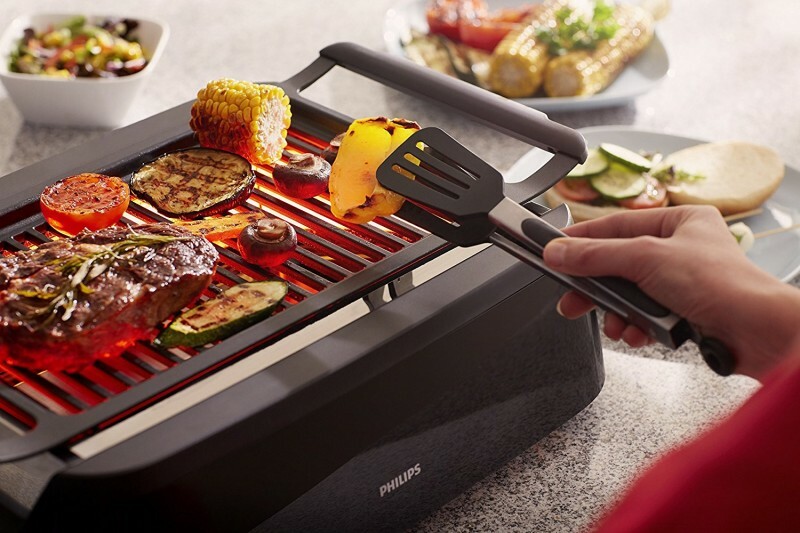 The Philips Smoke-less Indoor Grill was made so that you can enjoy more of the great grilled food indoors in a more clean and pleasant way. 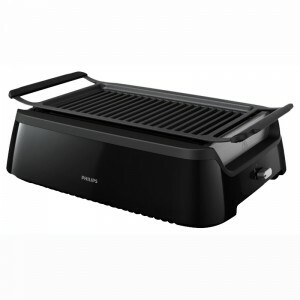 This grill works by means of advanced infrared heating technology, which cooks your food perfectly while reducing the amount of smoke and oil splattering caused by burning fat. 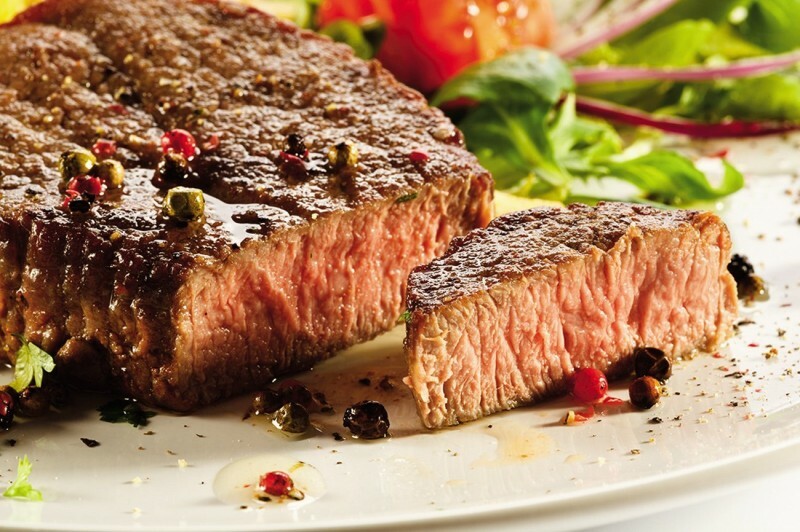 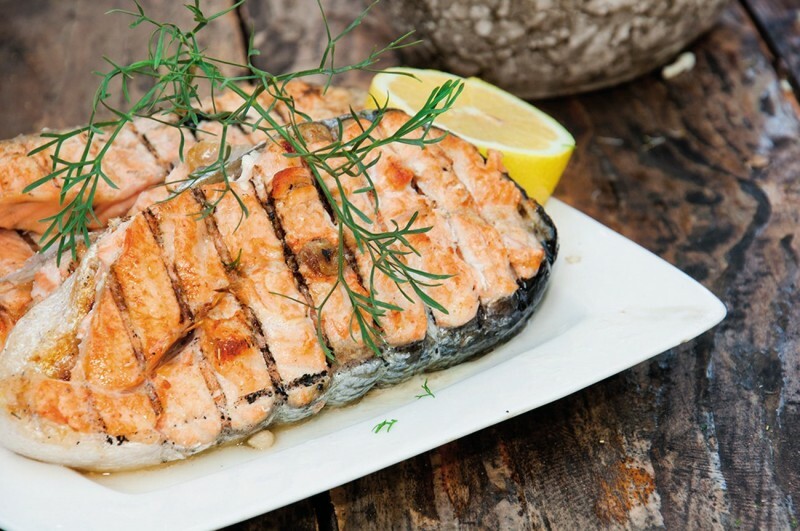 Free recipe book with inspiring grill recipes. 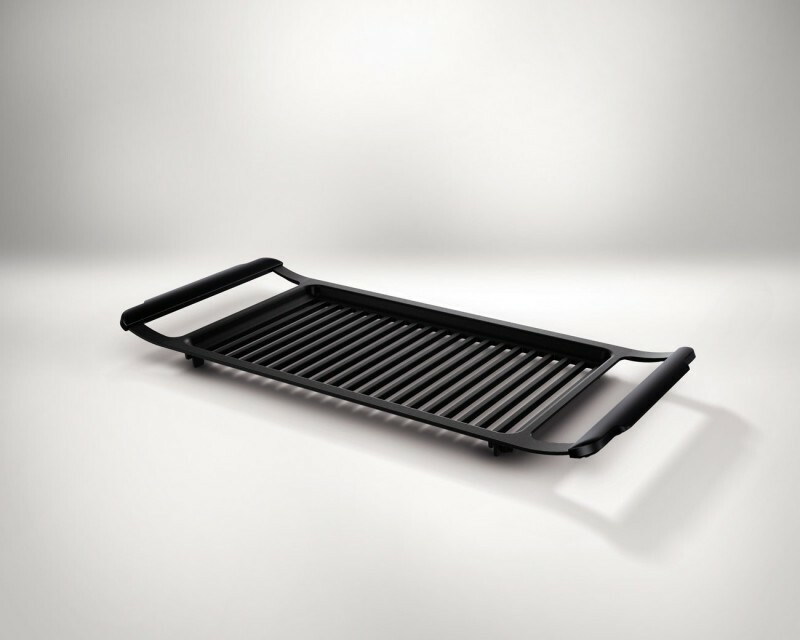 With its simple 2-piece design, our smoke-less grill is incredibly easy to set-up and use. Just put the grill on the base, flip the switch – and you’ll be grilling in no time. 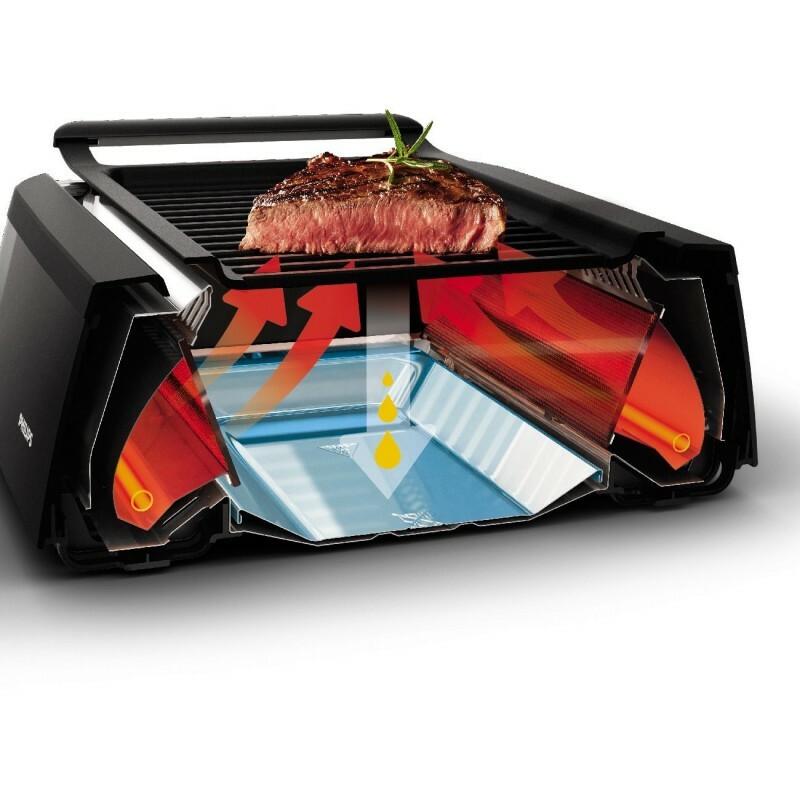 And thanks to the clever interior design, it only takes a moment to wipe the non-stick surfaces clean. 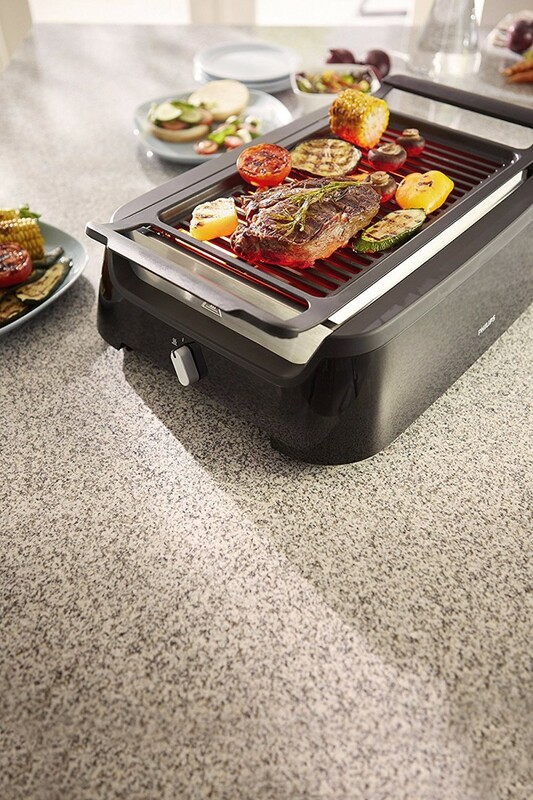 Minimal splattering also keeps your cooking surfaces neat and clean.